Okay, I know Easter is still a few weeks away, but I'm the room mom for a couple of The Cutes' parties and one of them is this week. I know, so early! 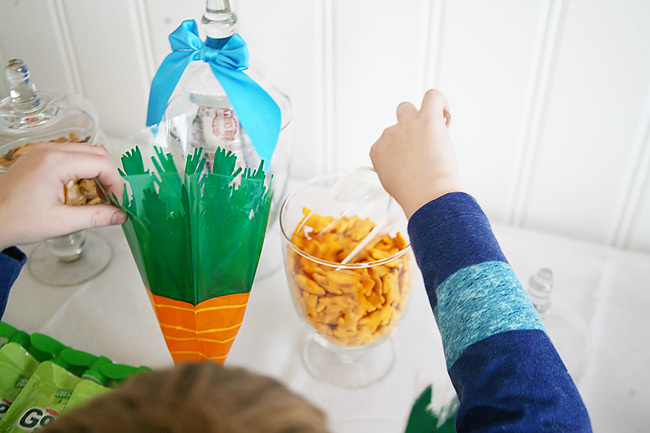 To make it easy for myself I came up with a cute "Bunny Buffet" snack idea and then did a trial run yesterday to make sure the set up would work for little hands and tiny fingers. It turned out so cute and is so easy to pack and go that I thought I would share in case you have any events coming up that this would work for too. I am all about the buffet. Eons ago when Mr. Cute and I got married we had a candy buffet for the late night crew at our wedding. It was one of my favorite things. All these years laters I've kept some of the containers we used and break them out for a party on occasion. 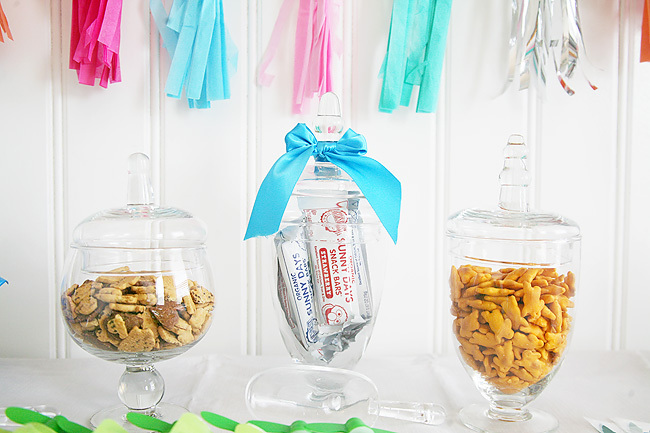 For this purpose though I wanted some smaller decorative containers to mix in and found these adorable glass ones. 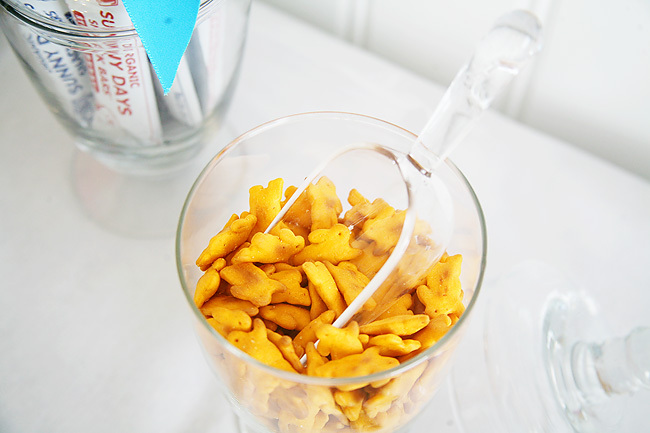 They came in a set of three and are the perfect size for normal quantities of snacks. 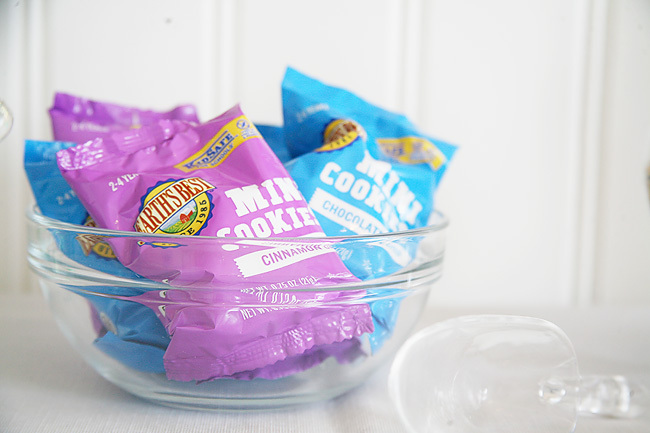 The mini scoops I've held onto since our wedding and they've come in handy so many times. I think Carrie Beth has even used them for a party or two. They were the perfect fit for the glass containers. 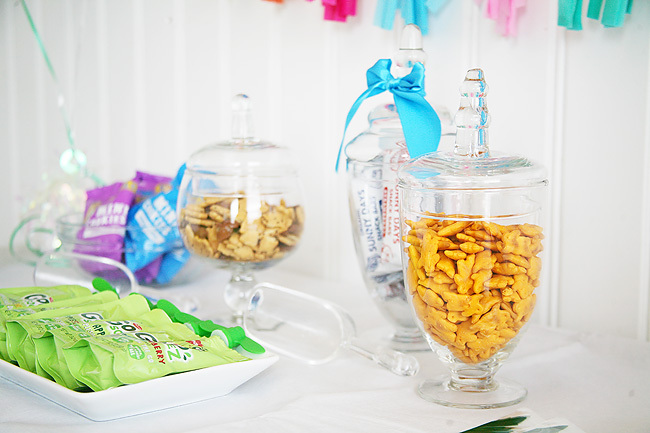 And speaking of the containers, the snacks were one of the easiest parts to come up with. I know with food allergies in classrooms it is tough to sometimes think of something that everyone would be able to eat. 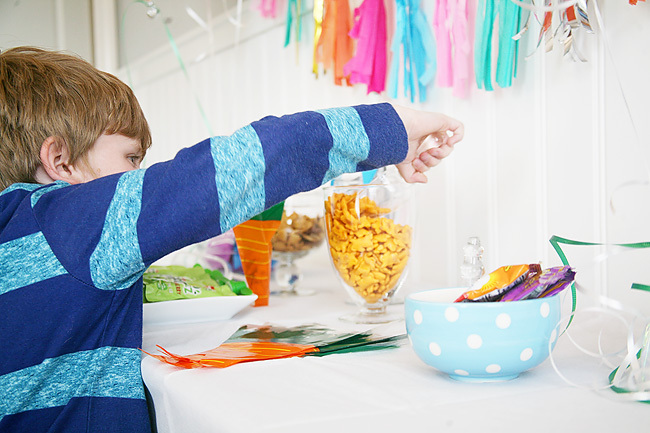 So I relied on some of my favorite go-to brands for kids snacks to ensure that most items were free of the most common allergies. 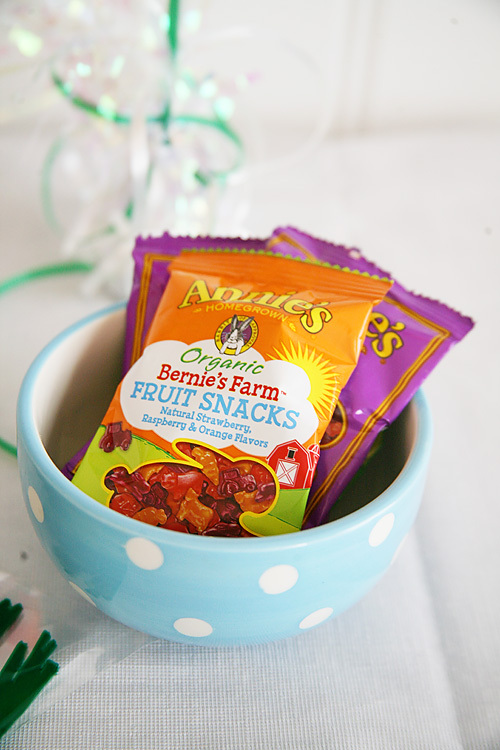 And because I love a good theme and this is a "Bunny Buffet" I was happy to include a bunch of the Annie's Homegrown items for bunny themed snacks. 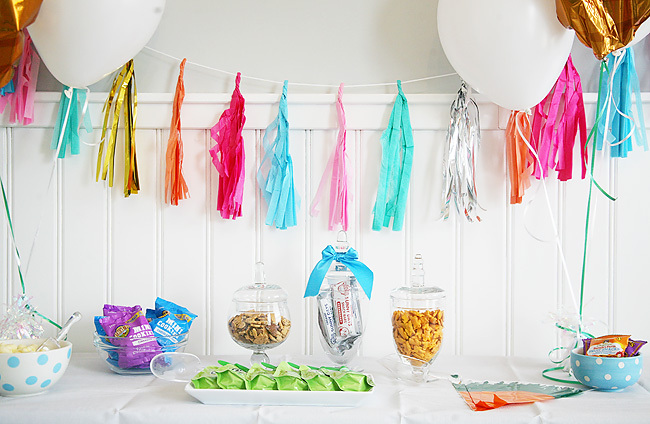 When I ordered the containers for the Bunny Buffet, I also grabbed some super fun and bright party decor that is easy to use from party to party. The white table cloth is wipeable (because kids), large enough to cover most classroom sized tables, and inexpensive enough that if it does get ruined I'm not too worried about throwing it away. 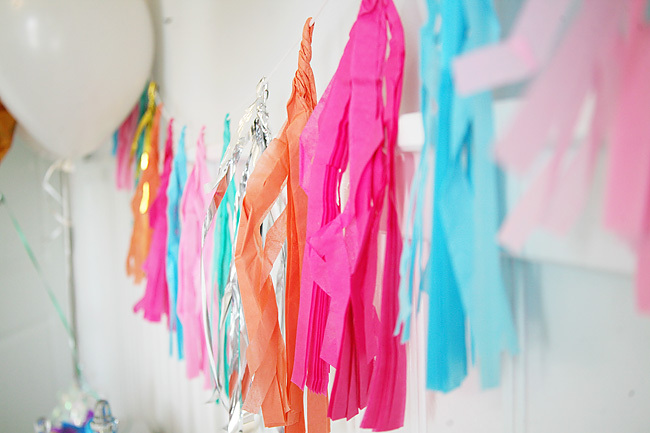 The tassel garland is one of my favorites! I hope it lasts through all of the festivities because I can see using it again for a few things we have scheduled in upcoming months. 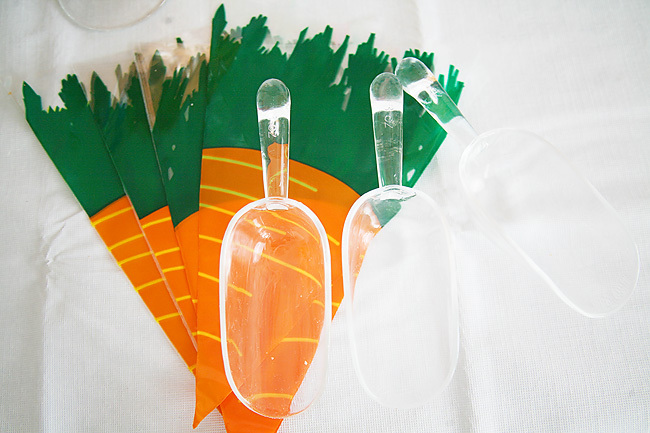 I ordered these large carrot mylar balloons as well as the carrot treat bags to tie into the bunny theme. 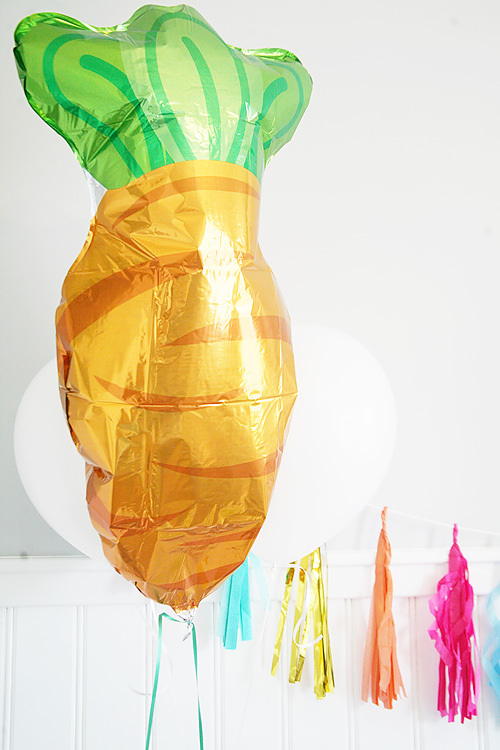 The balloons come in a set of three. The kids loved getting to try out the Bunny Buffet! 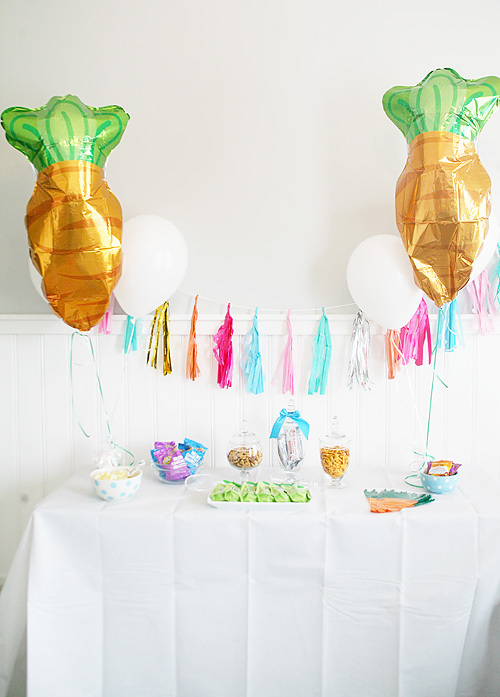 Seeing how much fun this was for them, I am definitely going to be using this idea for future parties. Not to mention how easy it was! Bunny themed and I didn't have to make one thing! 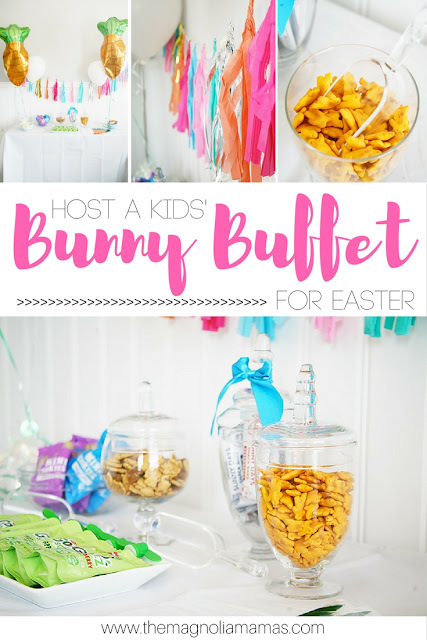 I am also hosting Easter for my family this year and I think I might set up aversion of this for adults and kids to snack on while we get lunch/dinner ready. 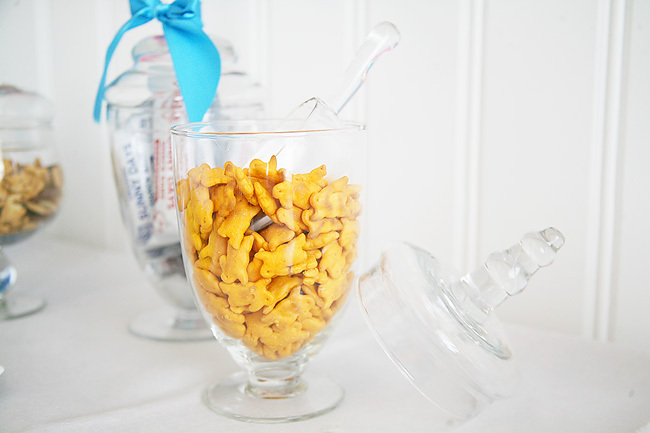 What are some of your crafty snack ideas for Easter? Anything I should add to the Bunny Buffet before the big day?